After getting out to a hot start, April's openers seem to be decaying geometrically week by week (that's for all you math nerds out there – and since you're reading a site that deals in statistics, I hope that's most of you). May probably can't here quick enough for exhibitors. The idea and talent of Transcendence made it an favorite for a film to watch out for in early 2014. Johnny Depp plays a leading proponent of artificial intelligence, working towards a concept called the singularity, wherein computers are able to successfully simulate the human mind, and the species leaves corporeal existence behind. Someone's read their Kurzweil, apparently. 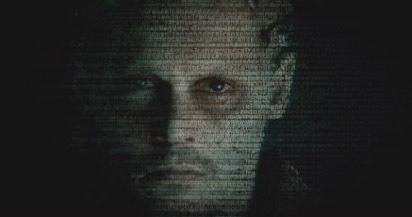 Anyway, Depp is poisoned by a group vehemently opposed to this idea, and as he's dying, a group of his friends and fellow researchers decide on a radical plan to upload him to an untested proto-singularity before he's lost for good. Good plan, poisoners! While that's a humdinger of a movie idea, it's here where things seem to go off the rails. After it works, Depp's consciousness seems to have the ability to do anything, including move physical objects, which, I mean, come on. It looks like we're back to the days of Hollywood being dumb about what computers can and can't do, like The Net or Lawnmower Man. Also starring Paul Bettany, Rebecca Hall, Cillian Murphy, Kate Mara and Morgan Freeman, and directed by Wally Pfister, cinematographer of Inception, it should at least look pretty and be a well acted piece of nonsense. Reviews are abysmal for a high profile thriller, and this will probably scare away a lot of curious people. There might not be that many anyway, as Depp's star as a non-makeuped lead has been rather underwhelming. While a lot has been made of his late career success, that's almost entirely on the back of the Pirates franchise, with a brief stopover in Wonderland. This doesn't appear to be in line with those films, and he's really only sort of in most of this film anyway. I'd look for $19 million here this weekend. Wednesday saw one of this week's four new films get a jump start on the weekend with Heaven is For Real, which sounds more like pleading than an idea for a movie. Greg Kinnear stars as the father of a young child who claims to have seen heaven during a near-death experience. That's apparently convincing enough for some and this spawns a movement of people to follow him. While this feels like a bit of special pleading and pandering of the highest order, the film does seem to have at least the common sense to be about what makes up the idea of faith. It remains to be seen if that's enough to cross over to mainstream ideas, or whether the fact that Hollywood made it will make anathema to Christian audiences. On its opening day, it managed a first place finish with a little over $3 million, which should translate into about $13 million on the weekend.